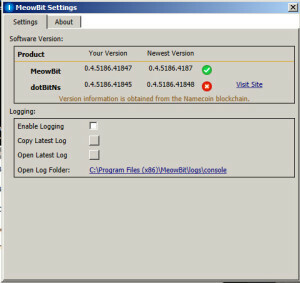 MeowBit – Now with Update Alerts Over the Blockchain – a new feature for software | MeowBit! 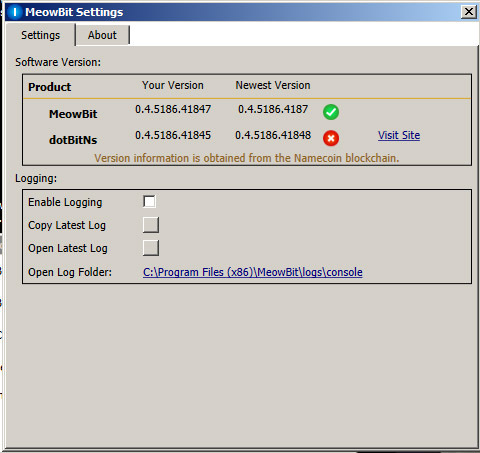 As of the latest version of MeowBit (v 0.4.5186.41847, get the latest version HERE), version update notifications are delivered over the blockchain. The next version will have an alert balloon, and an MD5 hash. This version, as a proof of concept, has red light/green light indicators. 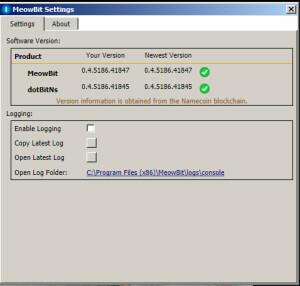 To access these, click the kitty cat icon on the desktop to open the MeowBit Monitor, and click on Settings in the lower left corner of the Monitor window. You may have to close and open the window in this version if an update happens while you have the window open. The p/ spec probably needs a little work to be more generic, but I whipped it together kind of quickly for publishing version information of MeowBit. 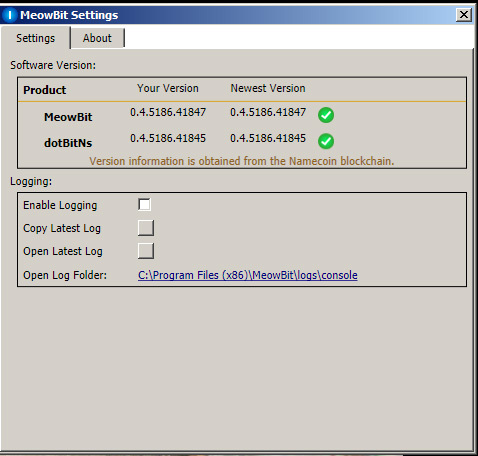 In MeowBit on the Version tab of the settings window, it lets you know what the latest version is via the blockchain, and it your version is older it presents a download link. 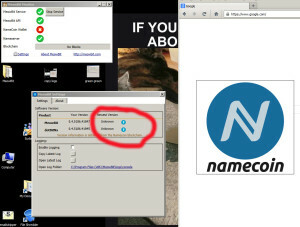 Future work includes automatic downloads of new versions from publishes sources, and verifying the MD5 hash of the files. Source code on GitHub, here. * Bug Fix: Resolution fail on unexpected domain info format. * Typo in log output “Determining”… Thanks MWD. * Query product info from blockchain using query api. * Version info on Settings page offers link to download page if out of date. * Unmapped sub-domains default to their parent. –Michael W. Dean and Derrick Slopey, THE BEASTLICK INTERNET POLICY COMMISSION outreach team.